This week we're kicking the Holiday Blues to the curb, which means we're making holiday cards that feature NO BLUE. Maybe red & green is your preferred holiday palette... or neutral tones on kraft... or perhaps, like some of us, you're pretty fond of "Pink Christmas"? Use whatever color combination works for you, as long as there are no blues. Here's what we made this week. 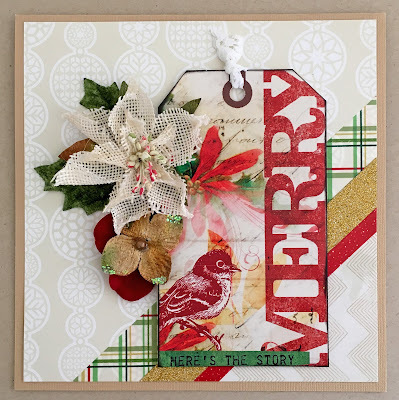 Stephanie says, "Whenever I get to a scrapbooking store, I always look for the 12x12 scrapbook papers that contain journaling cards ... they make perfect centerpieces for card creations. 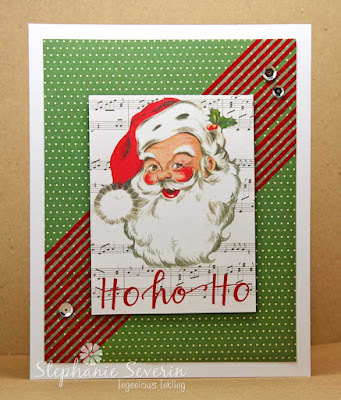 I used this Santa card as the focal point for this week's Retro Sketch using striped washi tape on green polka dot designer paper. 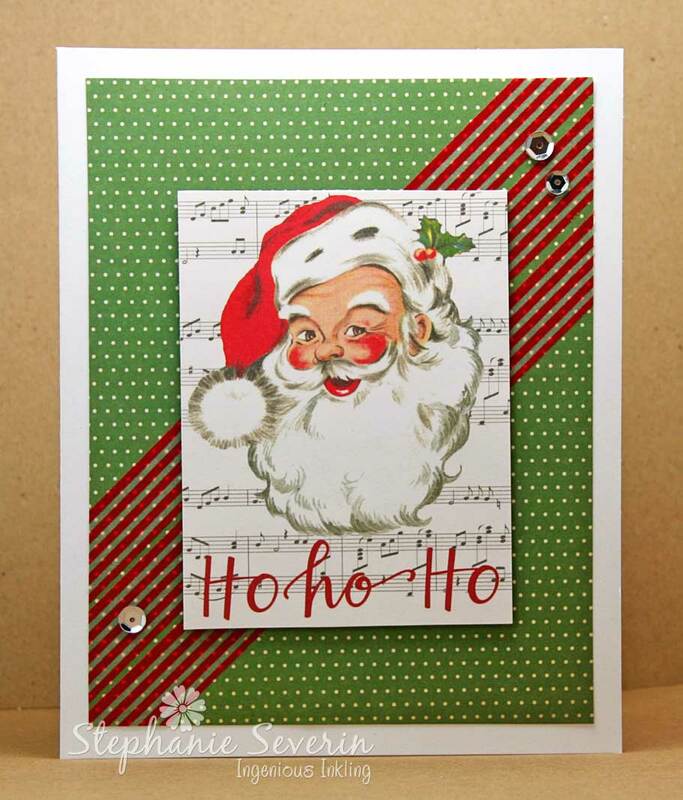 I stuck with the traditional color palette of Red & Green (with some silver sequin sparkle) for my design." Lauren says, "Ok, yes indeedy, I realize this is one of those times that makes it almost impossible to believe that Stephanie and I *never* confer about our cards before posting them, but truly, it's 100% coincidence that we've both used this week's awesome Retro Sketch (#215) as inspiration, both chosen a pre-made centerpiece + washi tape, and both picked a traditional palette with a few neutrals thrown in. On the other hand, there's a pretty good reason we've been crafty BFF's for nearly a decade, lol!" Now it's your turn to use any technique, theme, images and ingredients to make as many glorious holiday cards as you'd like, just remember to banish the blues! Link up here before 6pm (EST) on Wednesday, June 1st. Keyword for galleries and Flickr is JB:16:11. Lauren's blog comes to my email first so I read it first then comes the Jingle Belles and the first card I see is Steph's and did a double take, is that the same sketch?? and it was so I giggled. great challenge since all my recent cards have been "blue". Fab. inspiration cards too. Fun challenge and two great BFF cards! Thank you for the challenge Lovely cards Lauren and Stephanie.